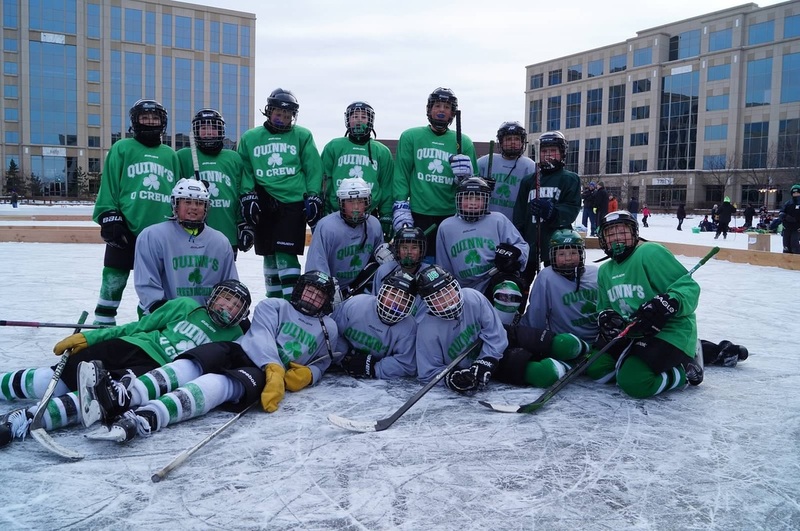 Quinn’s Cup is an annual outdoor pond hockey style tournament held at beautiful Centennial Lakes Park in the heart of Edina. The event will be held on Saturday, January 30, 2016 from 8:30 a.m. until 5:00 p.m. A hockey tournament is the perfect way to honor Quinn as he was a hockey lover who could often be found skating on his backyard rink. He truly loved the game. And now, an event designed to honor the memory of this young athlete has become a tremendous community building and bonding opportunity beyond the imagination of organizers. Registered teams pay a small entry fee and kids get to play two games. Players will receive a t-shirt, lunch and other gifts. There is also food for purchase, a tent for mingling and opportunities to for pick-up hockey games. Spectators are sure to enjoy this day of hockey as much as the players.